Download your free Grand County Wildland Fire Action Guide here! The Ready, Set Go! Program was developed by the International Association of Fire Chiefs and works collaboratively with existing defensible space education tools, such as Firewise, and provides the tools for our firefighters to educate individuals on preparedness prior to a fire, and situational awareness and early evacuation after a fire starts. The ultimate goal is the safety of our residents and our responding firefighters. The Ready, Set, Go! Program is the result of a nation-wide discussion on how to protect homes and lives in what the fire service calls the “Wildland-Urban-Interface” (WUI) – where development meets natural vegetation – and the “Ember Zone”, the area where the wind-driven ember fall-out from a wildland fire can threaten property and lives. As we know, Grand County in its entirety is in the WUI. Ready, Set, Go! 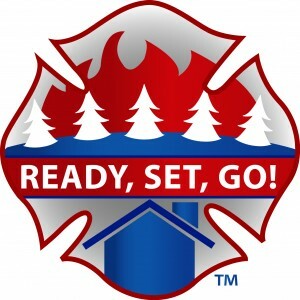 is a three-step process that allows firefighters to teach homeowners to create their own Action Plan of getting their property wildfire-ready long before a fire is upon us; get set to depart from one’s home; and to understand the role of evacuation in our area. 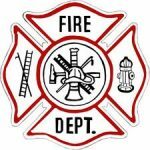 This process significantly increases the safety of homeowners and their families and allows firefighters to best do their job of extinguishing the fire, thus increasing the chance of saving homes and loved ones. Ready – Take personal responsibility and prepare long before the threat of a wildfire so your home is ready in case of a fire. Create defensible space by clearing brush away from your home. Use fire-resistant landscaping and harden your home with fire-safe construction measures. Assemble emergency supplies and belongings in a safe spot. Make sure everyone residing within your home is on the same page and plan escape routes. Register your cell phone with the Code Red emergency notification system. Set – Act immediately! Pack your vehicle with your emergency items. Stay abreast of the latest news, through local news crews and www.inciweb.org for updated information on the fire. Also utilize www.gcemergency.com from your computer or dial 2-1-1 from your phone. Go – Leave early! Following your Action Plan makes you prepared at this step of the process. Firefighters are now able to best maneuver around the wildfire, ensuring you and your family’s safety. Don’t let the first time you educate yourself on wildland fire be in the aftermath; join with us and be a part of the wildland fire solution today.